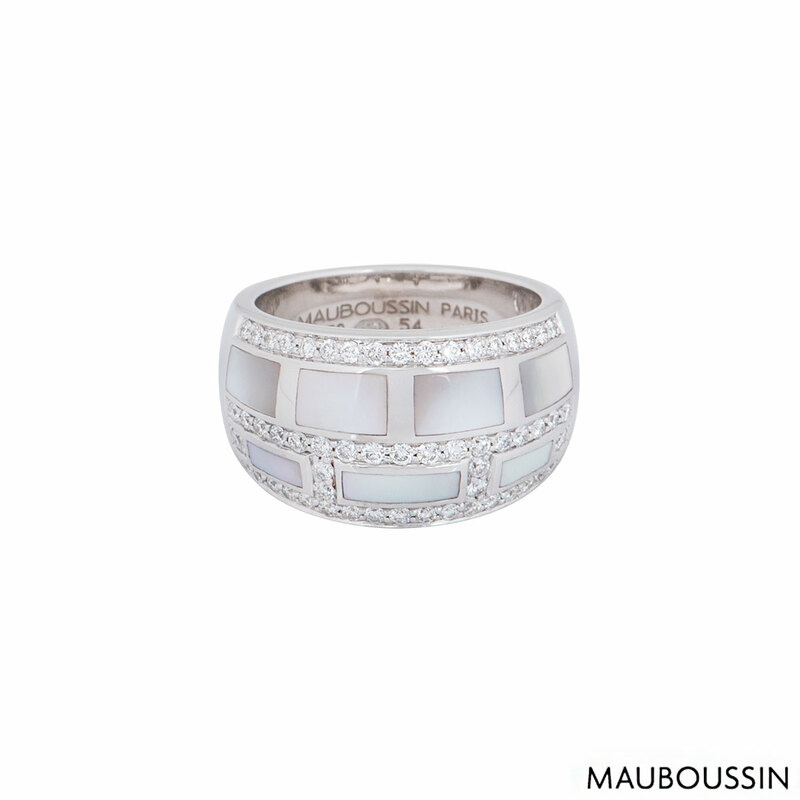 An 18k white gold diamond and pearl ring by Mauboussin from the Le Vice Et La Verta collection. 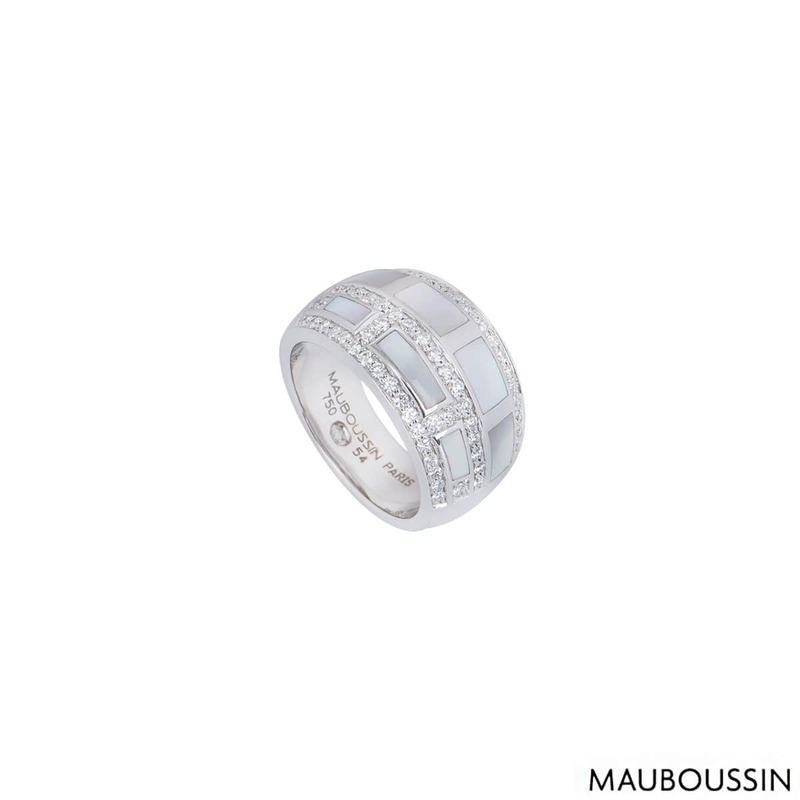 The ring comprises of 7 rectangles alternating in size set with mother of pearl inlay surrounded by pave set round brilliant cut diamonds. 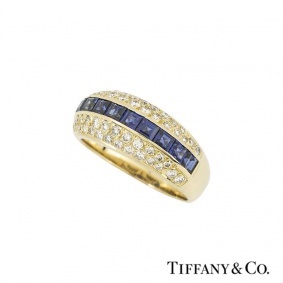 There are approximately 57 round brilliant cut diamonds with an approximate weight of 0.41ct. 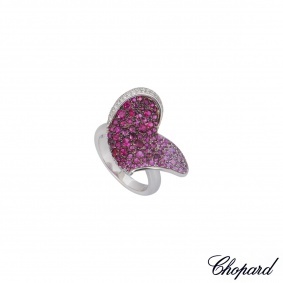 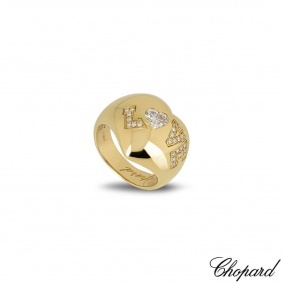 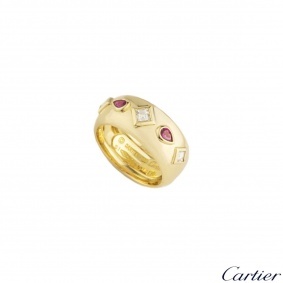 The ring is currently a size N½ and has width of 1.2cm with a gross weight of 13.80 grams.